Yesterday was unexpectedly Daylight Savings here in Australia. We had absolutely no clue, except that our computers are both smarter than we are, so when we noticed that they had jumped ahead an hour in about the middle of the day, we were baffled. The mystery began several weeks ago when we were booking a flight for this coming week to Brisbane (we’re heading there for a few days this Thursday). The flight was supposed to be 1.5 hours from Sydney, but all the flights we were looking at landed only 0.5 hours after departing. We looked online to see if Brisbane was in a different time zone. It’s slightly east of Sydney, but it didn’t seem far enough to merit an hour’s difference, especially when east of Brisbane is… nothing. 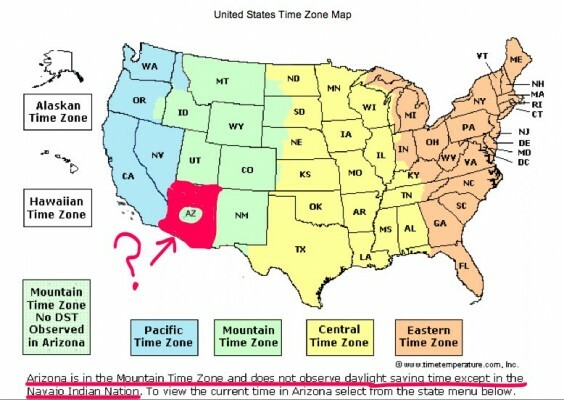 So it’s not as though it would make sense to begin a new time zone there on the coast. But we just booked the flight and figured we’d find out when the time came. But then yesterday Daniel noticed that his computer was an hour ahead of his watch and began to suspect. Of course the omniscient Internet gave us the answer, when we sought its counsel. But it meant we’d already missed church. Bummer. It’s still so odd to me – not only that their Daylight Savings is so early in the season (a full month earlier than California, and that’s even after the US decided to begin Daylight Savings a few weeks earlier than it used to), but also it just feels weird that in October the move would be springing ahead rather than falling behind. Of course this makes sense when you realize we’re in the Southern Hemisphere. And …that it is Spring here. The crazy thing would be if they set their clocks back right now, when their days are just starting to get longer. I guess it’s just evidence that I’m still sort of in denial that Spring is taking place in my favorite month of the year. Nothing against Spring, of course – just that it still feels as though it has no business popping up in October. I guess I’m still an American at heart. Brisbane being in Queensland, there lay my answer. 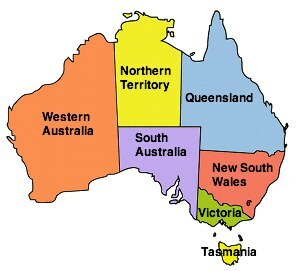 If Western Australia, Northern Territory and Queensland all refuse to participate in Daylight Savings, that essentially means that the majority of the continent does not observe it. And the dividing line between those states that do and those that don’t? Runs mostly east/west, rather than north/south, meaning that states getting the same amount of light on a given day at a given time (South Australia and Northern Territory, for example) will have their clocks set an hour apart. Doesn’t that strike you as odd? Actually, I guess the US has Arizona, so I can’t just point the finger. In fact, I suppose Australia may have an even better explanation: with so much of the continent being rural desert where no business owners are trying to save costs on electricity, why do they need Daylight Savings in those states? So …Arizona, what is your excuse? And don’t tell me you aren’t very entrepreneurial or something because the only place in your state that does participate in DST is the Navajo Indian Nation, and I’m guessing they have fewer electricity costs to worry about than you. Well, maybe there are some casinos to consider… but still, if you call yourself rural you have nothing on Montana. Please explain. P.P.P.S. Upon further inquiry, I find that not only do the Australian and US Daylight Savings dates differ, but the European date is different still! In 2011, the US and Canada will set clocks back on November 6. Europe will do so on October 30. Australia set clocks ahead on October 2. I guess it’s true then: nothing is certain in life except death and taxes. Not even Daylight Savings. I think I can shed some light on the not observing DST in Queensland. Well, not exactly. I know some jokes about why they don’t observe DST……because the cows would be confused……because the extra hour of sun would cause the drapes to fade. At least that’s how it was explained to me when I asked the same question. Ha! That was really interesting information. I had no clue about Arizona. I wonder why they do that..
Nem, yeah, it’s kind of weird. I know there are a lot of people who think we shouldn’t do DST anymore since we’re not farmers who rely on the sunlight, but I still like having daylight at more convenient times.